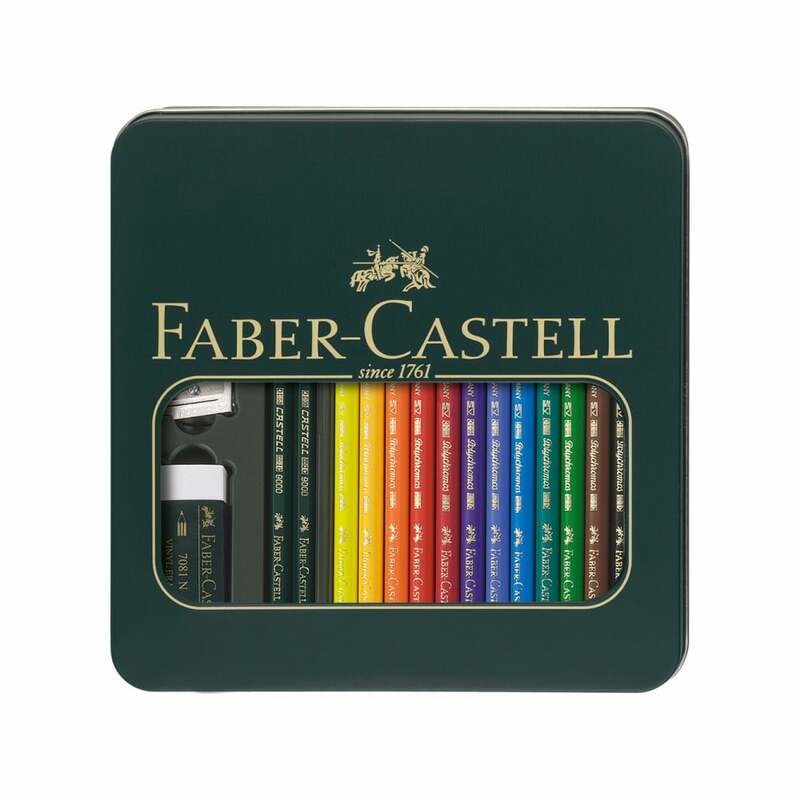 Faber-Castell Mixed media Gift Set (Polychromos and Castell 9000 Pencils)Attractive metal gift box with see through window. Gift box for beginners and advanced users at a great price. Colour pencils can be applied with delicate or strong strokes to unfold their vibrant colours. Combining them with the various shades of grey from Castell 9000 HB, 3B, highly interesting pictures can be achieved. Contains 12 x colour pencils, 2 9000 series pencils, sharpener and an eraser.